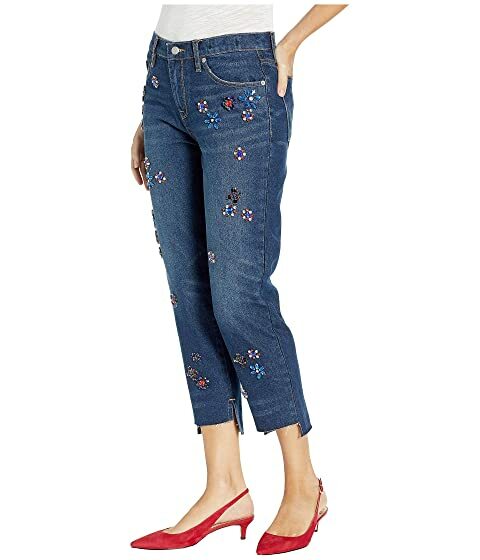 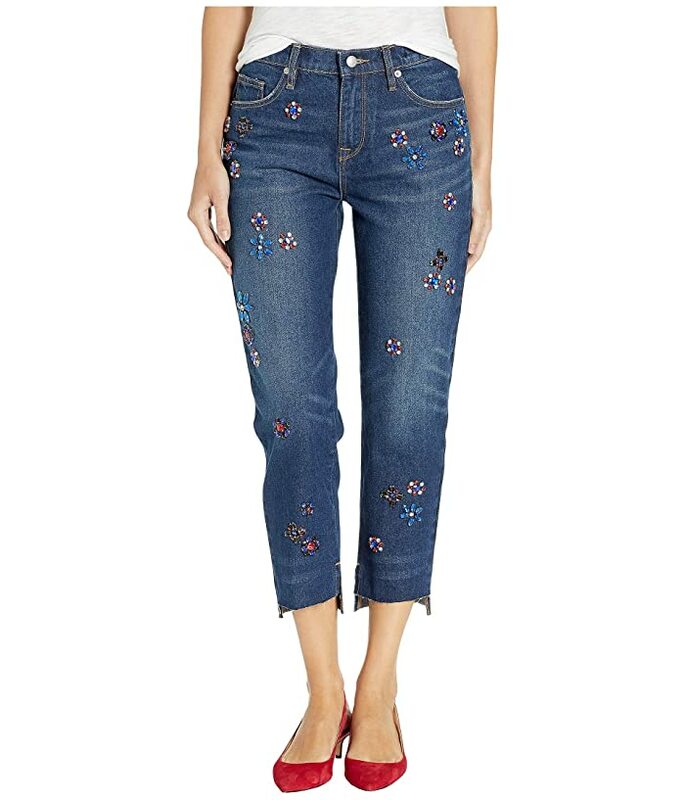 Create a vibe all your own in these Juicy Couture™ Floral Embellished Boyfriend Jeans! 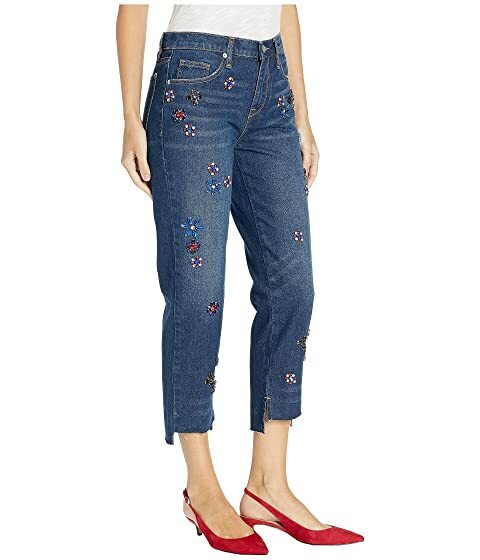 Hayworth Wash denim flaunts a textured deep blue fabrication with floral jeweled embellishments. 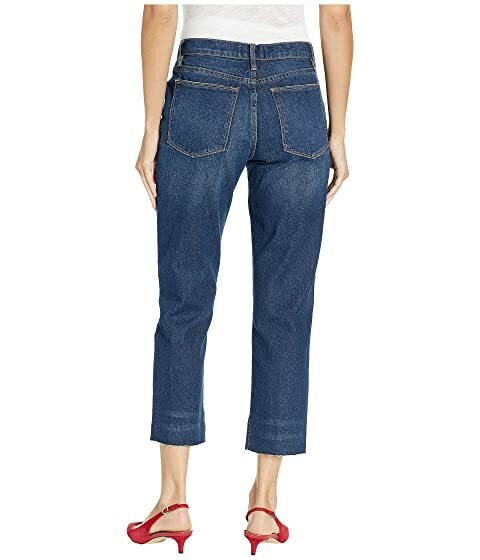 Structured waistband with belt loop accents.